How important is the grade school or high school in your community? In Costa Rica, they are more than the place where the state educates us for free. They are reference points to give an address, shelters for victims of floods and other disasters, and even the place where you go to vote for president and mayor. But they are at risk. 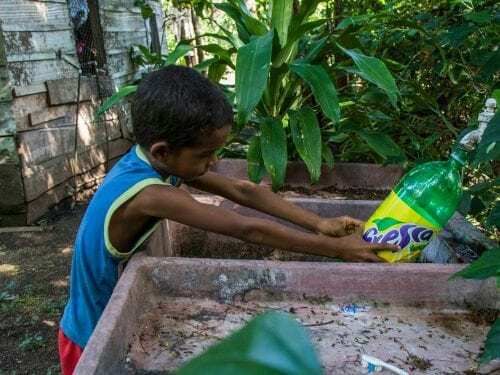 A list composed by the Health Ministry (Minsa) in 2018 and published at the end of the year by National Restoration lawmaker Mileyde Alvarado showed that 103 schools in Guanacaste have at least one health warning, which means it’s risky to study there, according to Minsa. This accounts for 20 percent of the 529 warnings in the country. 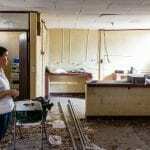 Most of the warnings are about poor infrastructures, such as lunchrooms with demolition orders, violations of Law 7,600 for people with handicaps, bad electrical systems, and others. And most of the schools on the list that have warnings are located in the cantons of Bagaces (37), Santa Cruz (18) and La Cruz (15). According to Minsa’s press office, that number is constantly changing and they said there were fewer during the first quarter of this year. But, by the time this newspaper went to print, they didn’t give an exact number of cases they had attended to. Andrea Obando, director of the Education Ministry’s educational infrastructure and equipment department, is in charge of school infrastructure across the country. 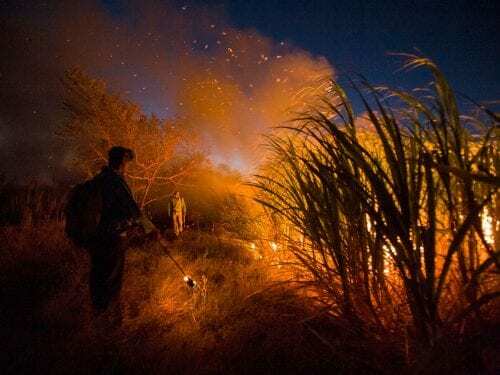 During an interview with The Voice of Guanacaste, she said that, through March this year, the institution had solved several of the health warnings and has mapped out only 60 left in the province. However, it’s clear that the infrastructure problem in the classrooms is latent and has existed for years. 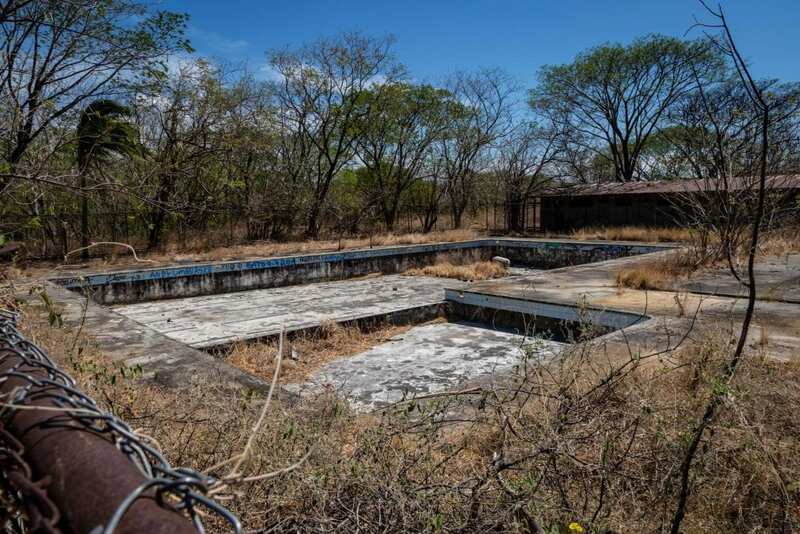 At the San Martin school in Nicoya, for example, one of the health warnings was issued in 2012 after the 7.6 magnitude earthquake in September of that year. Since then, the National Emergency Commission determined that three pavilions should be ruled out for giving classes and even demolished. Seven years later, all the pavilions are still functioning and Minsa’s warning is waiting for attention from MEP. 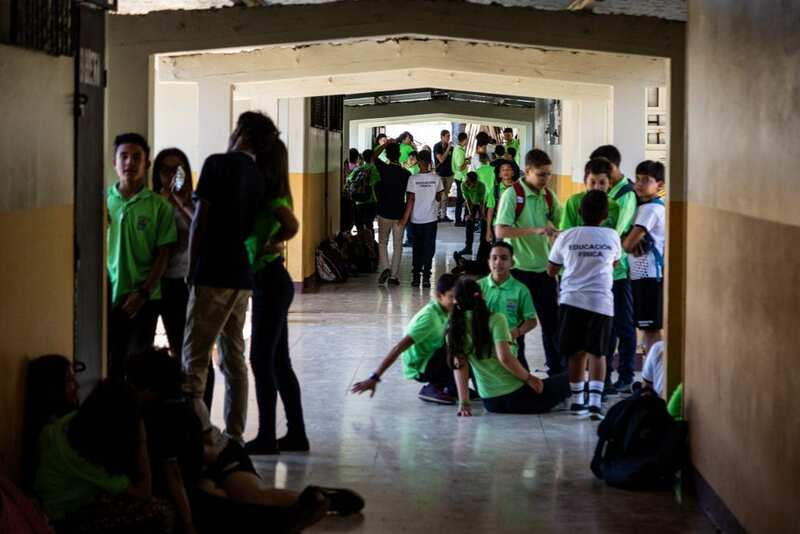 “If we had a place to put them (the students) we would risk ourselves there, but we don’t have anywhere else, so what are we supposed to do?” said Gerardo Carrillo, the school’s principal. Carrillo said that a project will begin in 2020 to build 32 new classrooms. He said that DIEE confirmed the information but didn’t give an exact date to start. This is the previous lunchroom. It´s have a health warning since 2012. There are several causes that explain the accumulation of health warnings. One of them, and the most common is the aging schools and high schools. For example, Miguel Araya Venegas High School in Cañas opened its doors for the first time in 1963, 56 years ago. It has four health warnings that need attention. 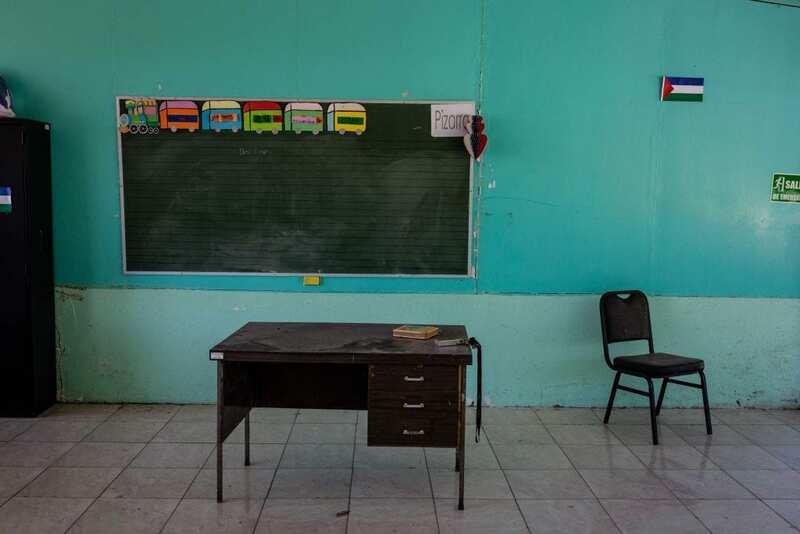 According to principal Dennice Jimenez, a civil engineer and an electrical engineer from DIEE inspected the school in September 2018 and concluded that the school is no longer useable. This high school was built when there were 150 students and now there are 900. Times have changed and we can’t keep thinking that we have the best conditions,” Jimenez said. The lack of communication between DIEE and Minsa is the second problem. That’s the conclusion that directors of both institutions reached just months ago, despite the fact that DIEE was closed in 2007. 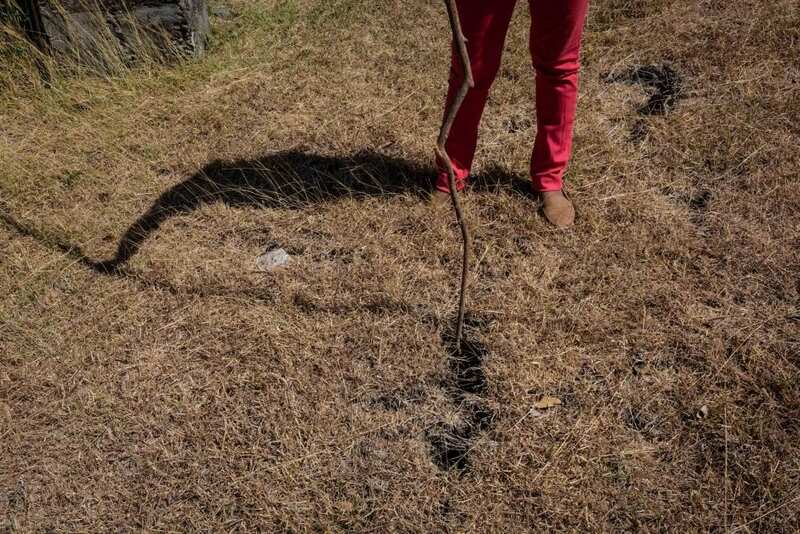 Deputy health minister Dennis Angulo said that, a few months ago, the procedure consisted of the ministry visiting the school, inspecting the facilities, issuing a health warning if necessary, sending it to the directors of the school and the school informed DIEE about the warning. Minsa and MEP didn’t use to talk about the process and the criteria for issuing a warning were lax. Obando, from the DIEE, said that the health warnings that they received weren’t categorized by level of complexity and were dealt with in the order that they entered the system. The Miguel Araya high school in Cañas got tired of waiting for MEP to take care of its infrastructure needs. They filed an injunction and won in October 2018. Despite the fact that the Supreme Court ruled that MEP should intervene immediately, the school is still awaiting a solution. The lack of classrooms, labs, a gym and a safe electrical system affects the school’s 900 students on a daily basis. The pool in the Liceo have a health warning too. 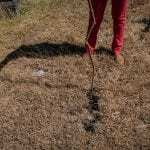 An internal DIEE audit adds that the problems within this department of MEP put infrastructure improvements at risk in schools across the country since information about the projects is duplicated and incomplete. “The lack of administrative and operational control impede decision making, assigning resources, repairs or maintenance of educational infrastructure in the country,” the document says. DIEE’s execution budgets without oversight is a third problem. The report says that the department assigns funds to the schools and high schools without providing adivise on how to use the money. Essentially, it doesn’t give instructions on how to use it. For example, through March this year, newspaper La Nacion revealed that education directors had failed to spend ¢141 billion. 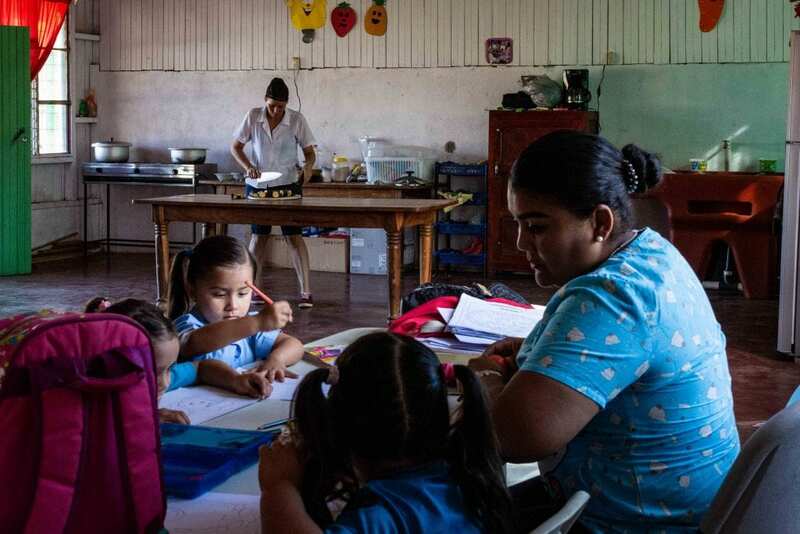 School principals interviewed by The Voice of Guanacaste agreed that the money assigned by Law for schools is barely enough for minor repairs and isn’t enough to fix more complex problems. “Resources are assigned according to the number of kids each school has enrolled. For repairs, we only have ¢500,000 [some $800], which we spend on cutting the grass,” said the principal of the Bagatzi school Heiner Chevez, who has 17 students and, according to a 2017 health warning, must build a completely new lunchroom. International institutions agree with her. 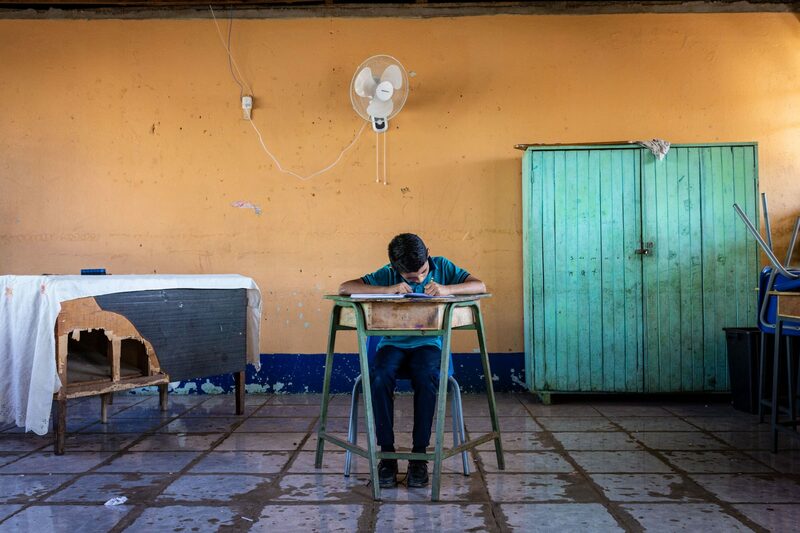 For the Latin America Development bank, investment in school infrastructure is a fundamental necessity for access to education and student performance. 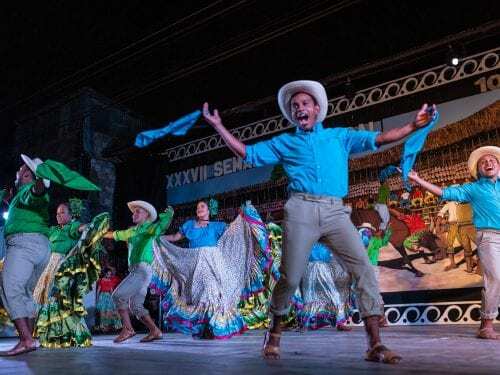 Unesco agrees and says that the dropout rate in Latin America is 17 percent and it’s greater in rural areas where infrastructure conditions are poor. 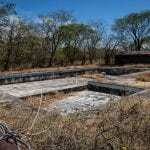 The IDA Playitas school is built on a lot so arid that cracks in the ground appear. The only classroom has a raised floor and the walls have cracks in them. They don’t have any health warning, but the regional MEP office recommended not giving classes in this space. Now, the school’s nine students receive classes in the lunchroom and the education board has counts the little money they have left to solve the problem. The only classroom has a raised floor and the walls have cracks in them. National institutions know it, but the future is still uncertain. The DIEE and the Health Ministry are committed to improving their operations, including doing joint inspections before issuing a warning, categorizing orders from severe to light and creating a map to locate affected schools. DIEE director Obando was emphatic in that the institution’s entire budget, roughly ¢19 billion for 2019, will be used for health warnings and emergency projects —mainly for schools affected by floods or earthquakes). Meanwhile, in order to renovate schools and remove some of the health warnings, some schools and high schools are finding ways to deal with the problems so they don’t have to wait for the money to arrive. 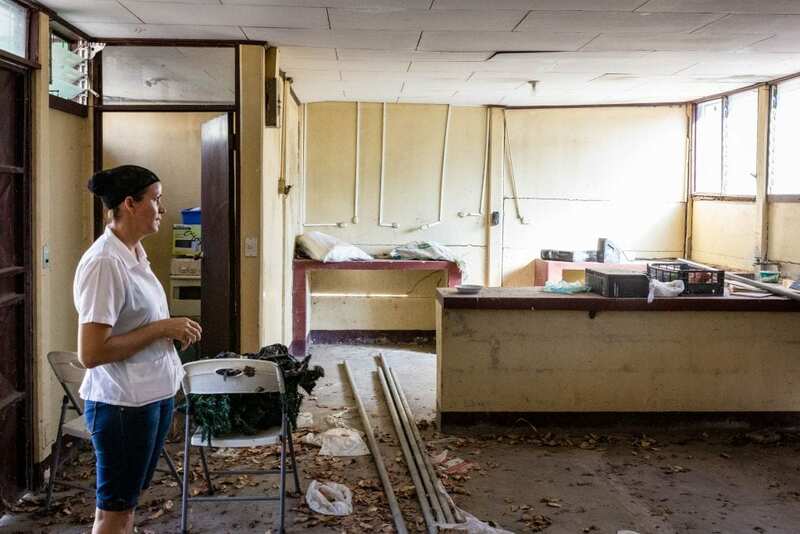 In San Martín, for example, Ana Zúñiga, who teaches 10th grade, points to the interior of her classroom to show that, with raffle money, they have been able to fix some of their problems. Fresh paint and fans are signs of the results. They hope that aid arrives, but they have a hard time believing it will.